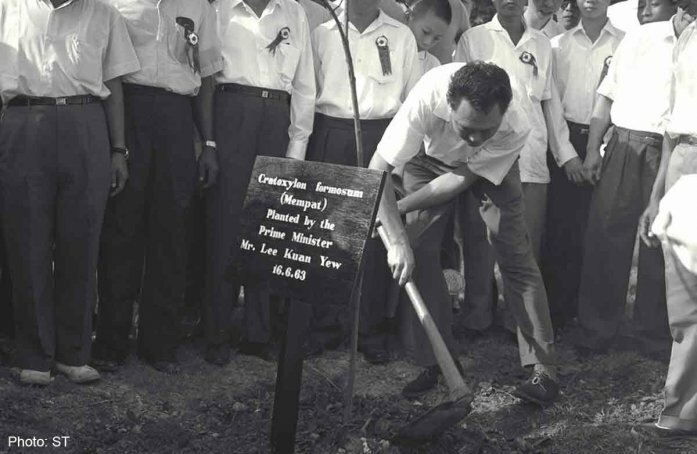 16 June 1963, Mr Lee Kuan Yew plants a Mempat tree (Cratoxylum formosum) at Farrer Circus, launching an island-wide greening movement that has continued for more than five decades. 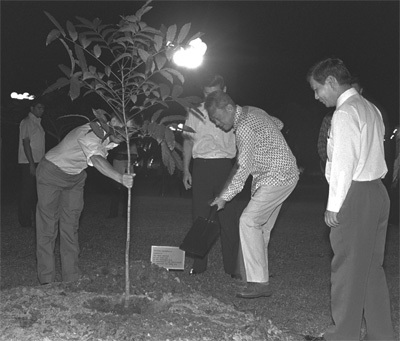 As a testament to the pace of redevelopment in Singapore, of the more than 60 trees planted by Mr.Lee since 1963, 39 have survived while the rest (including that first Mempat tree) no longer exist. Heritage trees are individual or groups of trees that are so special that they are worthy of recognition and protection for future generations. These trees broadly fit into three main groups; visual importance, scientific value and cultural connections. Announced on 17 August 2001, the heritage tree program by NParks recognizes exceptional mature trees worthy of conservation. As of November 2017, there are 265 heritage trees in the register.